After J5081 : Railway vehicle, Bangor station another railway vehicle unknown to me. 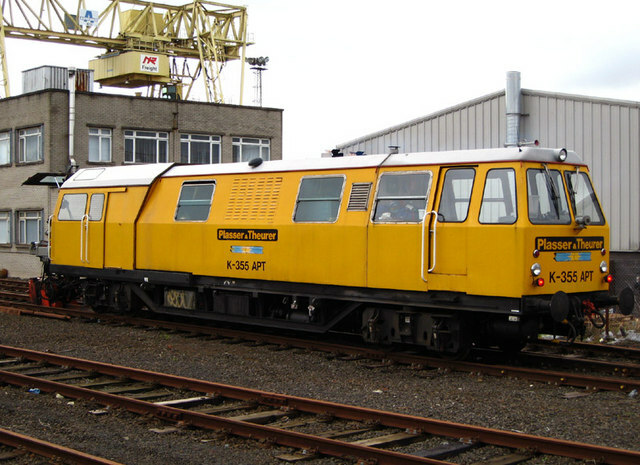 This one is also marked 'Plasser & Theurer' and is numbered 'K-355 APT'. This machine is a rail welder, which was built in 2002. This page has been viewed about 115 times.